Want to cause a stir at the Nurburgring this year? The SCG003 should do it! 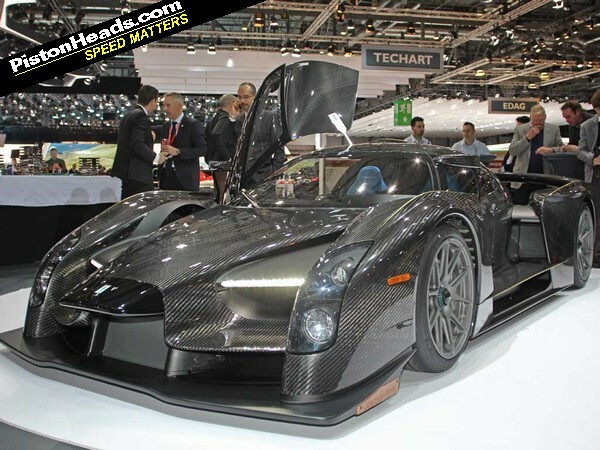 'Race car for the road' is a hopelessly hackneyed car marketing phrase, but one look at the SCG003 in the naked carbon proves it's not an idle boast from Glickenhaus. Even the 'Stradale' version, complete with token number plates, appeared ready to charge through the Alps and win at Monza. Sort of now. With the Competizione version available to order at the show, more information is currently available on that. The V6 twin-turbo engine is said to be "derived" from a Honda unit which implies a fairly thorough reengineering by Autotecnica Motori. And it can be swapped out (!). By designing the carbon structure with packaging flexibility in mind, Glickenhaus says the rear frame "can be easily exchanged to allow the use of different engines on the same platform." Remember the road car will use a twin-turbo V6 as well, but an engine that Glickenhaus is "specifically developing" which suggests it isn't something off the shelf. The design is inspired by LMP1 and 2 cars, the styling by Granstudio and the aero work by Podium Engineering. Pushrod suspension is used for both models, with the Competizione racing on Dunlop tires with Bosch electronics. 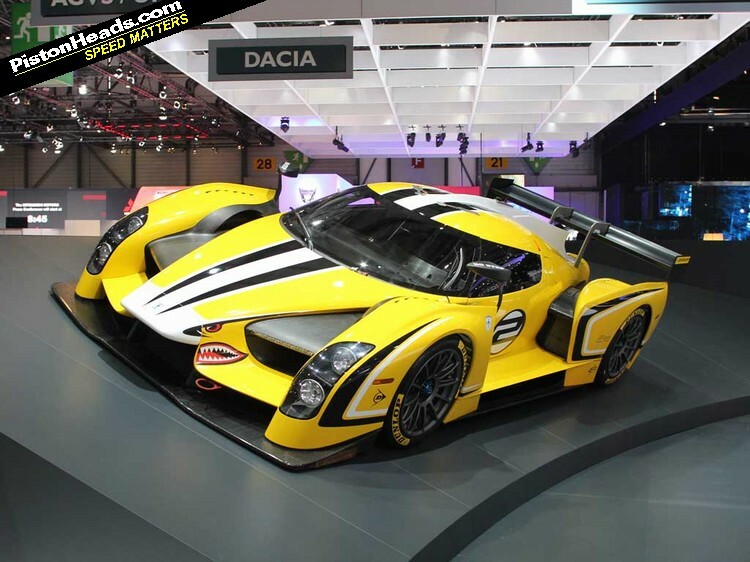 So close are the two models that Glickenhaus says the racer can be "easily owner converted" for road use. From the show floor it's the attention to detail that in the SCG's design that leaves the biggest impression. Both cars are little more than a seat, racing wheel and a dashboard of switches but it's all so beautifully done. As you would expect given the time and expense lavished on the project. When there's more on this very exciting car we'll keep you updated. Click here for the PH Geneva news hub! That's a better photo! Naked carbon looks quite good - who needs paint (less is more). Love the sharknose detail on the racer, very apt! €2m seems quite steep, how much does a "normal" GT3 car run you these days? I like how the picture of the race version has a sign above saying 'Dacia'. Under half a million euros I think. You're paying for the fact this is a bespoke project I think, ground up new design and so on. I suspect there will be considerably fewer of these than a regular GT3 car as well. Looked incredible at the show! Just need to edit the "tires" to "tyres" now. Cracking looking car. You must have had some fun there Matt.